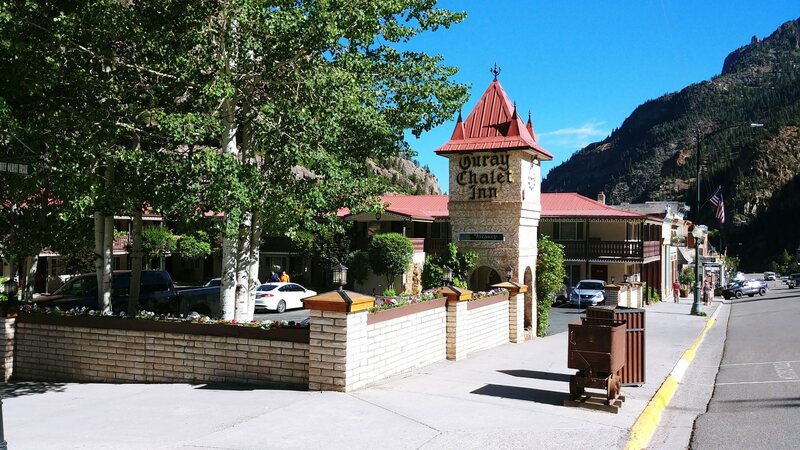 The Ouray Chalet Inn is a charming, family-owned-and-operated motel. Centrally located on Main Street right in the heart of downtown, the Chalet welcomes you! All guest rooms are spacious and clean. We offer many different rooms with either queen or king sized beds that are incredibly comfy! We all know breakfast is the most important meal of the day, so start it off right with our Grab & Go breakfast. Two oatmeal cups, two bottles of orange juice and two breakfast bars conveniently provided daily right in your room. Most of our rooms have breathtaking views of the mountains that surround our town. As the most centrally-located hotel in Ouray, our guests can easily park their car, then walk throughout the town to the various restaurants, shops, museums, and the Hot Springs found Downtown. What are you in the mood to do during your vacation? Our staff can guide you to the best of what we have to offer. If you are the adventurous type for an alpine jeep ride, or are wanting to soak in the Hot Springs, our staff is the most knowledgeable to guide you in planning the perfect day. the vacation of a lifetime awaits at The Chalet. All hotel rooms at The Chalet are non-smoking, spacious, and clean—plus, most have gorgeous views of the mountains. Each of the Chalet’s individually decorated rooms offers modern conveniences in the midst of nature. Book direct and save on your vacation today! 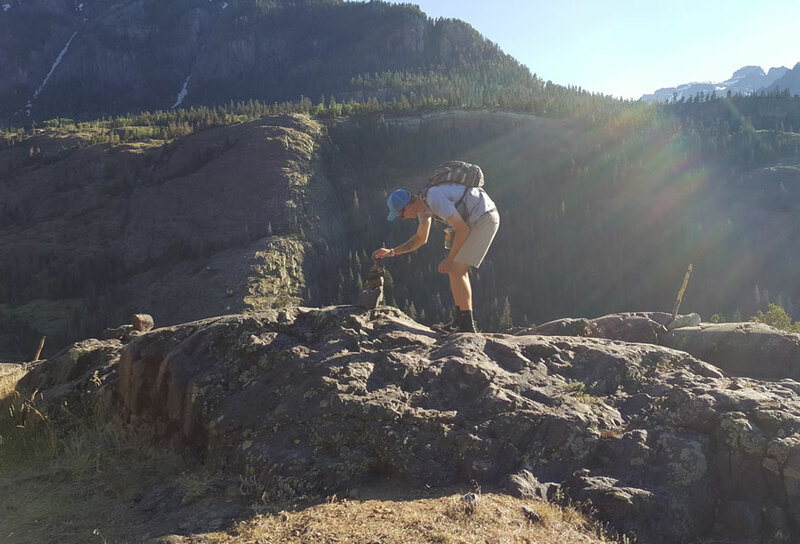 Your Ouray Adventure Starts Here. Ouray is one of Colorado’s best-kept secrets. Known as the “Switzerland of America,” the town has a bit of everything for everyone, for every season. From the splendor of spring and summer to the vivid colors of fall and the wonderland of winter, the beauty and activities of Ouray await. An easy walk or short drive lets you explore nature right in town at the Box Canyon and Cascade Falls. Feeling a little more adventurous? Try high alpine jeeping, wilderness hikes, ice climbing/rock climbing and more. Soak it all in: The Hot Springs surrounded by snow-capped peaks is the place to be for peaceful relaxation and fun with the whole family. Then take in the shops, art galleries, and dining in downtown for the perfect day. Are you ready to get away from the grind of your normal life to the beauty of the mountains? 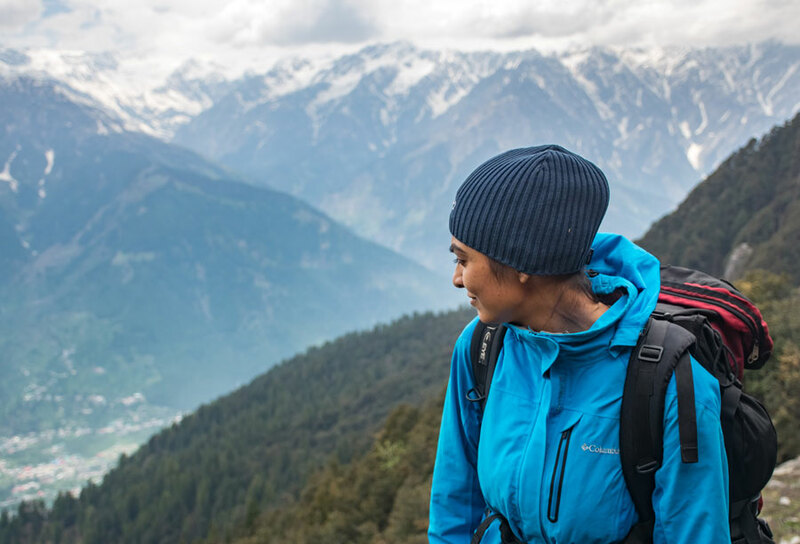 Breathe in the fresh air—exhale the stress—and reconnect with love, nature, family, and friends. Within a two hour drive from The Chalet, you can visit dozens of famous and off-the-beaten-track destinations, including Telluride, Ridgway, Black Canyon, Moab, and more. No matter where the day’s adventure takes you, once you arrive back at your room, small-town charm and civilization await.